Earth has been devastated. The only survivors live in Dome 17, but there is a huge problem. Dome 17 is failing. Is the last of humanity doomed? A century before, humanity built seven enormous generational colony ships. Each of these ships were filled with flora, fauna, and people. Some people would spend their entire lives living in the biological habitats of the colony ships, their grandchildren maybe seeing the end of the journey. Others were packed into suspended animation cocoons, only to be awakened many decades later when the ships arrived at their destination planets. The generational ships were launched toward seven separate earth-like worlds, but never heard from again. Can one of those ships be found? 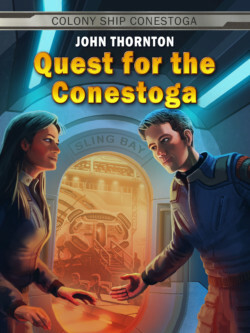 Using unproven technology, Jerome and Cammarry set off on a quest for the Conestoga. If they find it, humanity might have a chance to survive.